Spring time brings warmer weather and a plethora of sunny days to Northern Colorado. However, spring also ushers in powerful thunderstorms. Many spring storms deliver high winds, tornadoes, hail, torrential rains, and other inclement weather that can cause damages to your roofing system. If you are in need of assistance with roofing services in Fort Collins, Loveland, and surrounding Northern Colorado locations, our team of expert roofers is here to help. We can assist you with both roof replacement and roof repairs depending on the severity of the damages your roof has suffered. 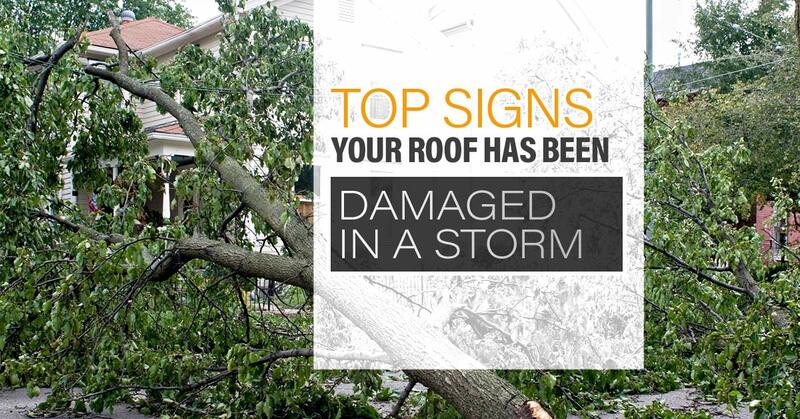 Do you know how to tell when your roof has been damaged by a storm? Check out these sure signs your roof is in need of attention. After the storm has passed, take a walk around your property. Is the ground littered with debris? Look for obvious signs of damage like scattered shingles. You should also take note of granules that have been ripped off of your shingles. Even though the shingles may have remained on your roof, if the coating has been beaten off of the shingle itself, your roof could become compromised. 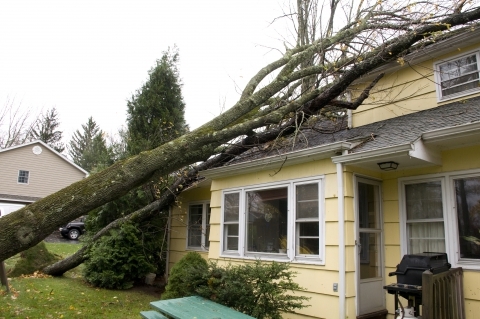 Shingle removal and damage is usually caused by high winds and strong hail. The battering of hail stones can take a serious toll on your roof. These signs are notable from the ground and offer you a quick, easy assessment after the storm. If you step back from your house and notice that a lot of debris has accumulated on your roofing system, you can be fairly certain that your roof was damaged in the process. Large branches are one of the worst culprits, which is why it is important to have your trees trimmed back before major thunderstorms strike the area. If, however, you did not take this preemptive step, have your roof inspected if debris has landed on the system. If high winds and heavy rains have damaged your gutter system, it is likely that your roofing system was damaged in the process as well. Sagging gutters indicate a structural weakness and should be addressed as soon as possible. Not only can gutters pull at your roofing system and further damage the system, they will also stop functioning properly, leading to water buildup on your roof. Pooling water can cause rotting and leaks in your roof. If you look up at your ceiling and there are water spots showing, your roof may have a serious leak. By the time water has reached your ceiling, it has caused a variety of damages along the way. Have a roofer inspect your roof right away to pinpoint the issue and to replace weakened materials. The best rule of thumb is to schedule a roofing inspection after any major storm rolls through your area. Be wary of roofers who go door to door and have no credentials. Many roofing companies simply show up after a storm strikes and try to garner business with no intention of being around for you in the long run. As a local Fort Collins roofing company, you can trust us to give you an honest appraisal of your roof after the storm passes and to provide long lasting repairs. Contact us today to learn more.